Will Charlie Sheen's live tour include his national coming out as a pop star? 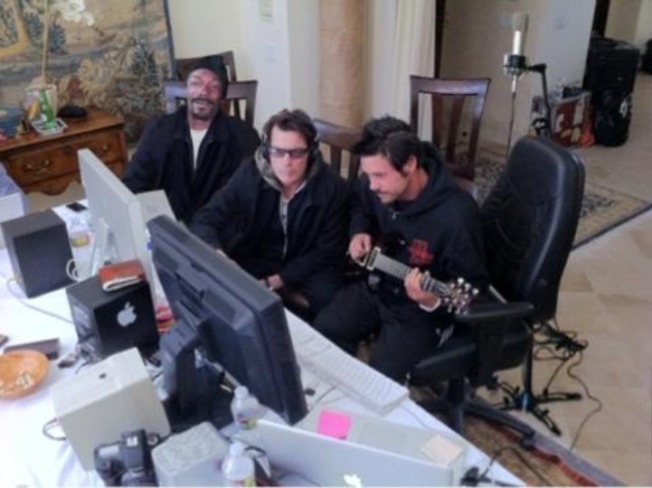 "Warlock meets his makers-music makers that is @SnoopDogg @robpatterson666 get ready to rock the Sheenius within!" There are no other details at the moment - is this a single? An album? Just a bunch of guys hanging out? - but we're certain Sheen will not hestitate to alert the world when there is something to report.